All the courtship and nest building behavior leads up to egg laying. Many eagles in the southern part of Minnesota are already incubating eggs. The pair in the Minnesota Bound nest are already incubating eggs. The pair we’re watching near the National Eagle Center in Wabasha have been incubating since March 5 2012. As you move farther north, the photo period is a little bit different, so eagle s typically nest a bit later in northern Minnesota. We are seeing many eagles now along the Mississippi River on their way back to their nesting territories. When she’s ready to lay eggs, the female will dig out a small bowl within the nest to receive the eggs. While she’s incubating it’s impossible to see the eggs until she either stands up to turn the eggs or demands her partner take a turn on the eggs. If you’re watching closely, you might get to see the eggs when they make a switch! 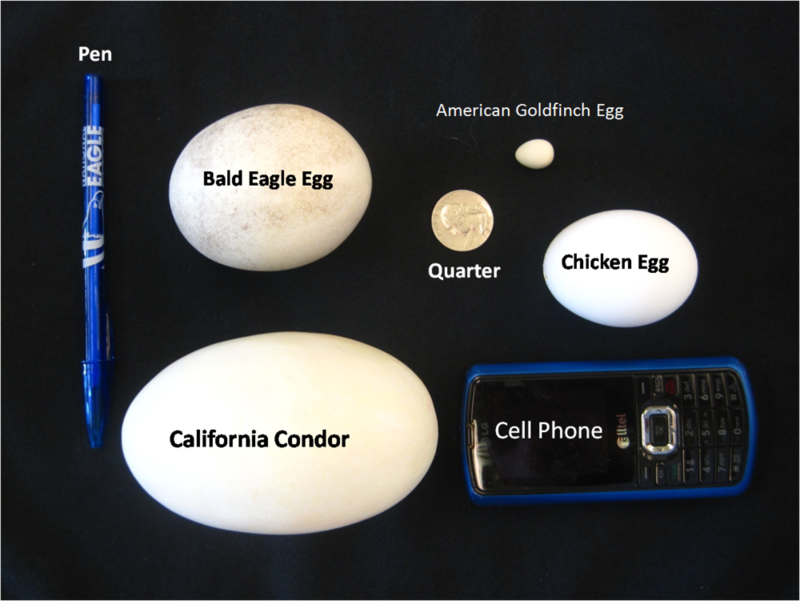 The eggs are laid one at a time, usually about two to three days apart. As soon as the female lays one egg, she will begin incubating it. The female does most of the incubating, but the male will take his turns too. The pair will incubate the eggs for about 35 days. Because the eggs were not all laid at the same time, each eaglet will hatch in the order that egg was laid and will be slightly older or younger than its siblings. This is different than many birds you might watch in your backyard. Robins, for instance, lay their eggs one each day for up to 4-5 eggs. But the female robin does not begin incubating any of the eggs until she has laid the last egg. This means that all of the baby robins will hatch on the same day. We’ll learn more later about what it means to be 2-4 days younger than your eagle sibling.